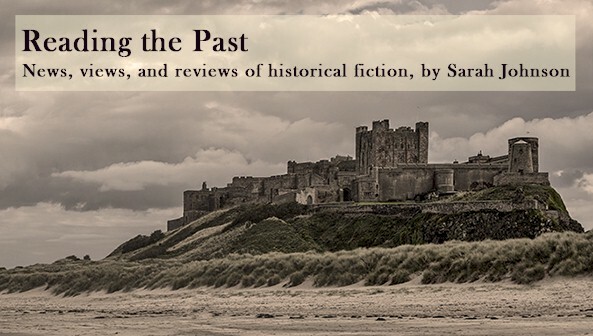 And, finally, here's the second part of my gallery of new and forthcoming historical novels centered around World War I. Part 1 can be found here. This list is longer than originally intended – 11 titles instead of 8 – because more relevant books kept coming to light. A novel of love, war, and redemption beginning in 1914, when a man delivers a letter to the woman he loves and learns its heartbreaking contents. Set in England's Cumberland fells and overseas. The Borough Press (HarperCollins UK), January 2014. In 1920, a man from Cornwall left alone and bereft after his wartime experiences finds that a lie told in his past has unavoidable and devastating repercussions. A story of love, loss, and the life-changing relationship between two young soldiers, only one of whom lives to return home. Thanks to Sarah OL for calling this one to my attention! Hutchinson (UK), January 2014; Atlantic Monthly (US), April 2014. A privileged young wife on a large Cornwall estate gains responsibility and confidence when her husband leaves to fight overseas. This English home front saga then becomes something more when she leaves for France herself to rescue a friend from danger. Honno Welsh Women's Press, February 2014. A new Jojo Moyes novel I haven't read... yet... but I will. (I bought a copy a year ago in London, too.) Her The Last Letter from Your Lover was both a cleverly constructed mystery and a totally absorbing emotional read, so I have high hopes for this one. The Girl You Left Behind is a dual-period novel about a young Frenchwoman in 1916, her artist husband, a German Kommandant, and a portrait whose mysterious legacy lies undiscovered for a century. Penguin UK, September 2012; Viking US, August 2013. In Robson's debut, a young Englishwoman flees the constraints of her aristocratic life by joining the Women's Army Auxiliary Corps and, while serving in France, falls in love with her brother's Scottish best friend, a surgeon not of her social station. William Morrow, January 2014. In her new literary novel about war, memories, identity, and revisiting the pain of the past, Shreve unfolds the mysterious history of an American woman who served as a nurse's aide on the battlefields of France but can remember little else about who she is. She travels to London, where the surgeon who takes her in develops a clinical interest in her case. Beautiful cover design. Little Brown, November 2013. The Gold Star Mothers Club was an organization founded after WWI to support mothers who lost children in the war; I hadn't know that before coming across this title. Smith's work of literary fiction visits the stories of five American women, all mothers of sons who died in the war, who travel overseas to Verdun in 1930, establishing connections and learning shocking truths. Knopf, January 2014. Four very different young men fighting on the side of the Allies won't ever be the same after July 1st, 1916, the first day of the devastating bloodbath that was the Battle of the Somme. It's been getting early rave reviews as a haunting military narrative. Pegasus, November 2013. Be aware that the UK edition has a different title, A Break of Day (Virago, also Nov). St. James' third Gothic historical novel about the ghosts of wartime past takes place on an isolated northern English estate that's been turned into a hospital for shell-shocked soldiers. When Kitty Weekes arrives there to work, pretending to be a nurse, the tormented patients aren't her only concern. Is Portis House haunted, and what became of the German family who once lived there? NAL, April 2014. I was pleased to have the opportunity to endorse this engrossing historical saga. With narrative insight, compassion, and a strong sense of time and place, M.K. Tod observes the inner workings of a marriage as it’s affected by the uncertainty and tumult of both world wars. (Hope you don't mind if I repeat my words here...) You may know Mary Tod from her blog, A Writer of History, or from her series of surveys of historical fiction readers. Tod Publishing, September 2013. First, a thanks to HarperCollins for giving me early access to Charles Todd's latest mystery via Edelweiss. I read it with rapt attention. It fits the high standard expected of a historical mystery featuring troubled Scotland Yard detective Ian Rutledge, who this time is sent in 1920 to investigate two inexplicable murders in and around Ely in Cambridgeshire. Can the answers be found by delving into wartime secrets? The resolution took some twists I didn't expect, which I like. William Morrow, January 2014. Thank you so much for these posts, Sarah. The WWI-era has become a particular favourite of mine (I just finished The Cartographer of No Man's Land -- it was excellent) so the books on this list will make excellent additions to my reading list. I'm really looking forward to reading The First of July, although the Canadian title will be the same as the UK title, as well as Unravelled. So glad to hear that about Cartographer... I've had it on the TBR for a while (picked it up at a summer conference). I'm especially eager about Silence for the Dead and the Smith, Robson, and Moyes as well. Thanks for highlighting all of these Sarah. I am just reading The Moon Field at the moment, it's very good. And I've read the Jojo Moyes as that was already released in the UK. Some of the others on here are definitely going on my wish list. Hi Lindsay, that's encouraging about The Moon Field - thanks for reporting on it. I hadn't come across anyone else who's read it yet! Hi Sarah … I am thrilled to know that you included Unravelled in this last. Rather choked up, actually. Many thanks!